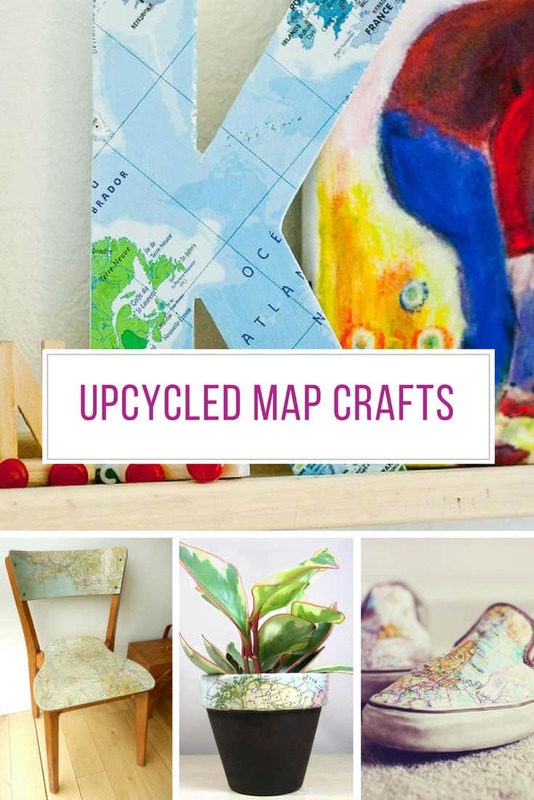 Road maps, vintage maps, world maps, don’t keep them folded away in a box somewhere, turn them into something amazing! 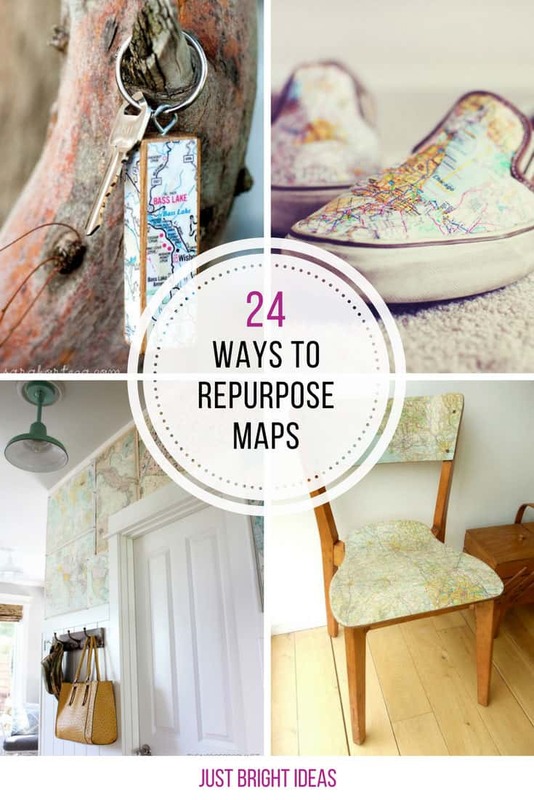 Check out these awesome ways to repurpose maps and be inspired! 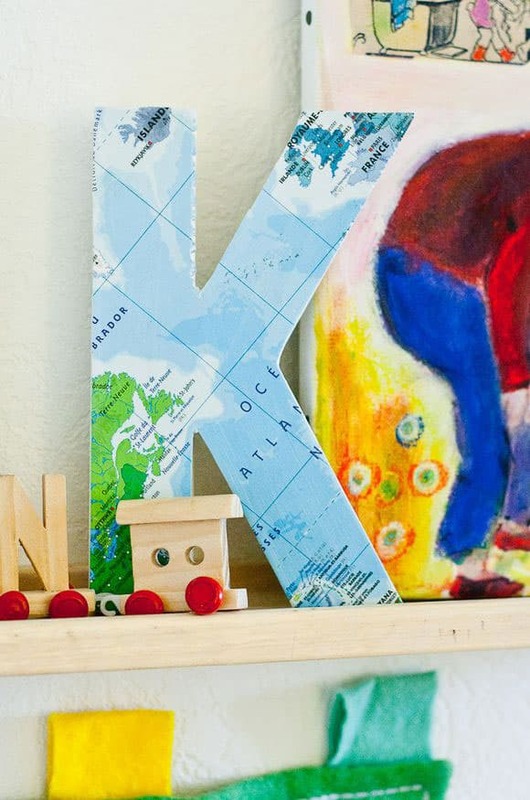 Take a papier mache, or wooden letter, add a map, and you have a fabulous map monogram just perfect for a child’s nursery! 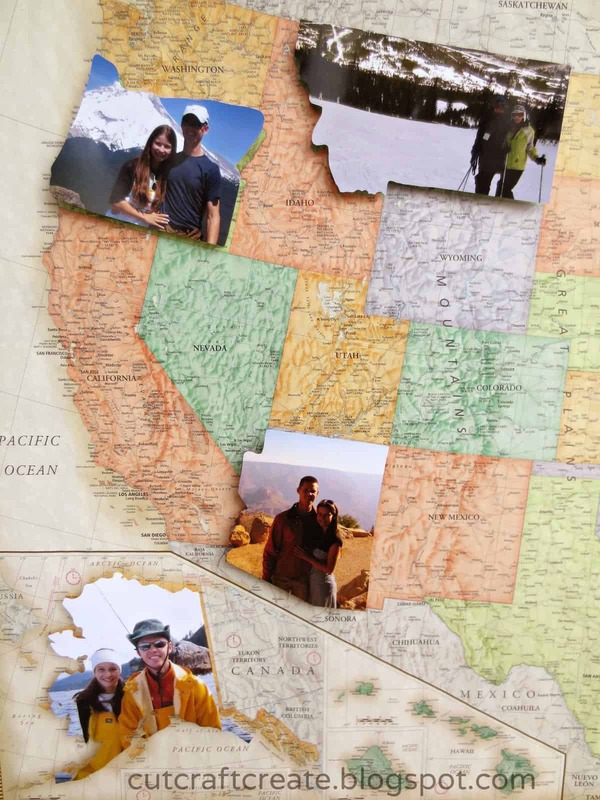 Here’s a little inspiration for you. 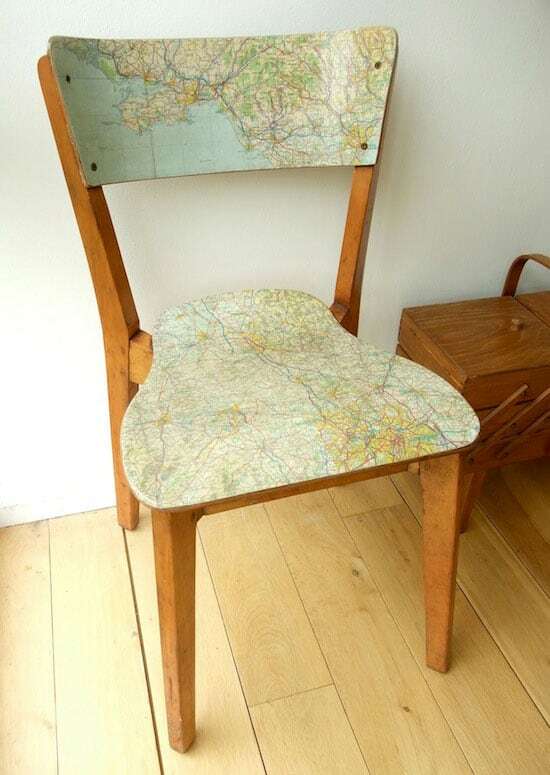 Take a vintage chair and bring it to life with a vintage map! 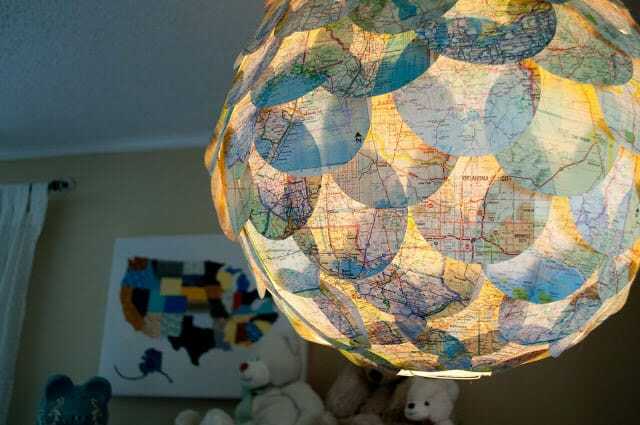 This map pendant light is genius! 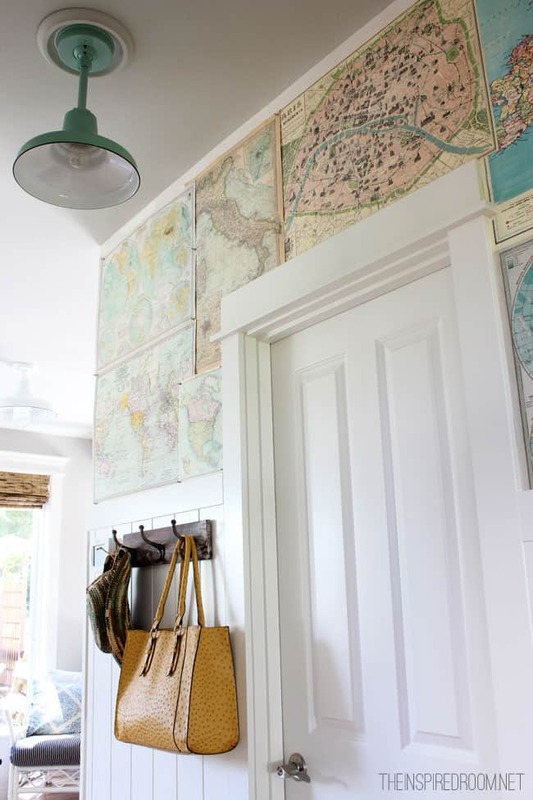 If you find a stash of vintage maps that you’d really like to have on display go and ahead and turn them into wallpaper! 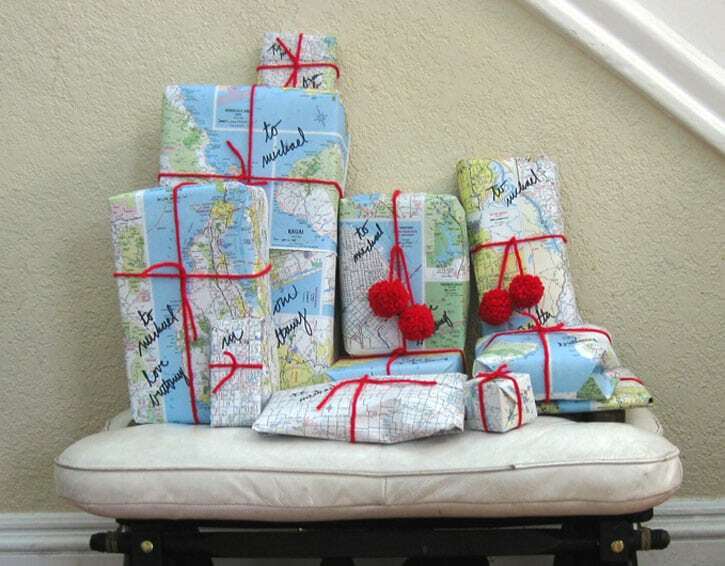 This isn’t a craft for one of a kind vintage maps, but if you happen to pick up some cheap road maps they make excellent wrapping paper! 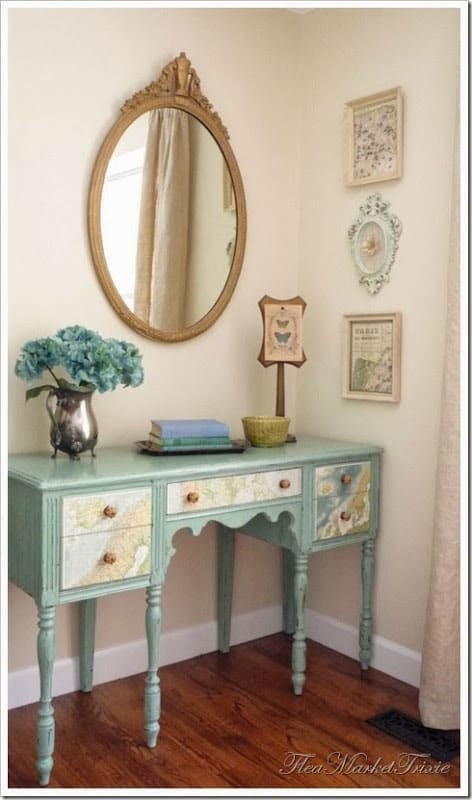 Next time you’re at the flea market or thrift store look out for a gorgeous table that needs a new lease of life, and upcycle it with maps! 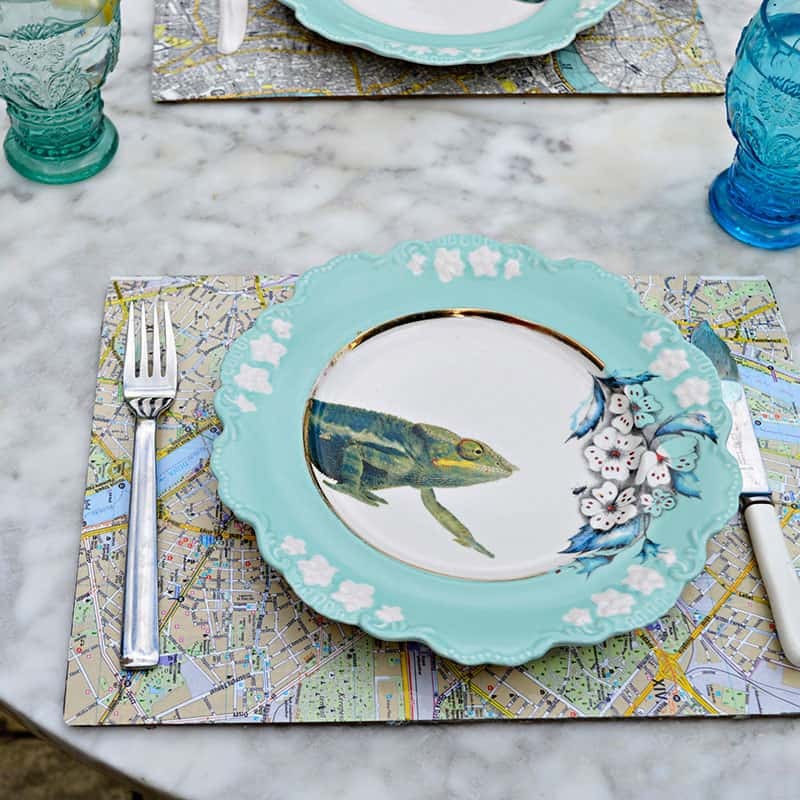 We LOVE these upcycled place mats and think they would make brilliant housewarming gifts if you used a local city map to make them.